^ 1.0 1.1 1.2 Vitor Alvarenga. World Cup 2014：Portugal profile – William Carvalho. England: The Guardian. 31 May 2014 [20 July 2014]. 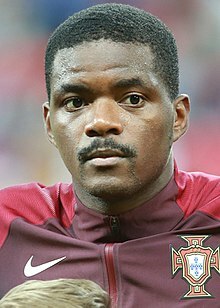 ^ Sporting empresta William Carvalho ao Fátima [Sporting loans William Carvalho to Fátima]. Record. 23 July 2011 [20 November 2013]. （原始内容存档于2013年12月14日） （葡萄牙语）. ^ William Carvalho vervangt Neto bij Cercle Brugge [William Carvalho follows Neto to Cercle Brugge]. Het Nieuwsblad. 4 January 2012 [20 November 2013] （荷兰语）. ^ William Carvalho encanta Jardim [William Carvalho delights Jardim]. Record. 11 August 2013 [20 November 2013]. （原始内容存档于2013年12月14日） （葡萄牙语）. ^ FC Porto 3–1 Sporting Lisbon. BBC Sport. 27 October 2013 [20 April 2014]. ^ Arsenal failed with late transfer deadline day Joel Campbell-plus-cash bid for Sporting Lisbon’s William Carvalho. Metro. 3 September 2014 [8 January 2015]. ^ Sporting compra a totalidade do passe de William Carvalho [Sporting owns William Carvalho's rights in full]. Mais Futebol. 15 November 2014 [24 February 2015] （葡萄牙语）. ^ £37m valued Arsenal and United target sent off on opening day of the season. Here Is the City. 17 August 2014 [8 January 2015]. ^ Portugal hit back to floor Norway. UEFA.com. 6 September 2013 [20 November 2013]. ^ Portugal make light work of Israel. UEFA.com. 10 October 2013 [20 November 2013]. ^ Bento：'No favourites' for Portugal-Sweden tie. UEFA.com. 13 November 2013 [20 November 2013]. ^ Ronaldo hat-trick takes Portugal past Sweden. UEFA.com. 19 November 2013 [20 November 2013]. ^ Varela strikes to save Portugal. FIFA.com. 23 June 2014 [23 June 2014]. ^ 16.0 16.1 William Carvalho e Rambé ganham prémios [William Carvalho and Rambé win awards]. SJPF. 6 December 2013 [23 April 2015]. （原始内容存档于2015年5月30日） （葡萄牙语）. ^ William Carvalho melhor jogador em dezembro [William Carvalho best player in December]. SAPO. 9 January 2014 [23 April 2015]. （原始内容存档于2014年3月27日） （葡萄牙语）. ^ William Carvalho recebeu prémio de melhor jogador [William Carvalho received best player award]. SJPF. 14 April 2014 [23 April 2015]. （原始内容存档于2015年5月30日） （葡萄牙语）.